With a name like this, how could you not want to try this game. 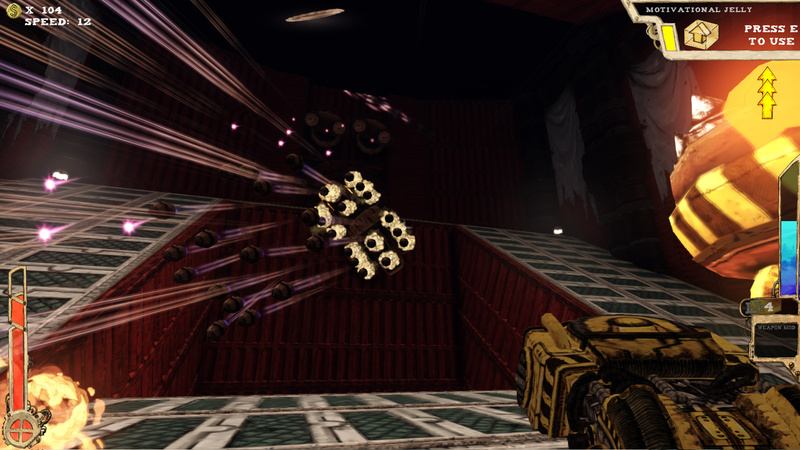 Tower of Guns is a simple first-person shooter heavily inspired by Quake and other fast-paced, movement heavy, arcade shooters. Part bullet hell, part roguelike, it has a somewhat novel take on the genre that is unfortunately held back by its limited variety. You enter the Tower after selecting your weapon and modifiers (which function almost like skulls from Halo, letting you make the game easier or harder depending on which you choose), and you are dropped into the same entrance room every time. Your goal is to make it through the level as fast as possible, killing the boss along the way to get a powerful upgrade and the next floor of the tower unlocked. But you don’t actually have to fight any of the other enemies, and in some situations, it can be easier or faster to try to run through them then to try to stand and fight, but ducking and weaving your way through the hail of projectiles does present its own set of challenges. Fights get rather hectic, and the entire screen can fill with bullets rather quickly as dozens of turrets try to end your life. You jump and blast your way through, leaving only scrapped robots in your wake. Sometimes the runs through the game just go really damn well, as you pick up dozens of incremental upgrades that can slowly make you nigh invincible, increasing jump height or the number of jumps that you have, the amount of damage or bullets your gun fires, the amount of health or lives you have, and more. It basically breaks the game intentionally and it’s pretty damn fun to jump around like you have wings, engaging in air-to-air combat with slow drones. But other times, you’ll just get bad luck and you won’t get many powerups, or you’ll catch a bullet and die and your run will end. Which is the name of the game with roguelikes, but this quickly exposes how little there is to back up the game. The long running games are fun, in an absurdist way, but as you move through the areas over and over, or have to restart a few times, you notice how repetitive the game is. 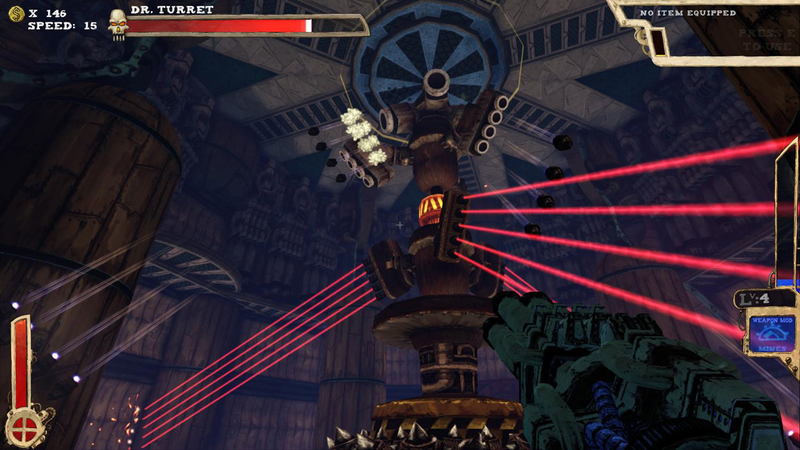 You encounter the same few bosses over and over, in the same levels, with the same enemies, and the same weapons. It desperately needs more to do, and I would have eaten it up, but none was to be found. It is this game’s major shortcoming. It plays well, and they do some really cool things with movement, and different “boxes” that can alter your speed in midair. But unfortunately, the point at which you’ve seen everything comes entirely too quickly, and the game loses steam after that. It is just up to you as to whether the challenge, what little there is, is enough to keep you coming back for more.